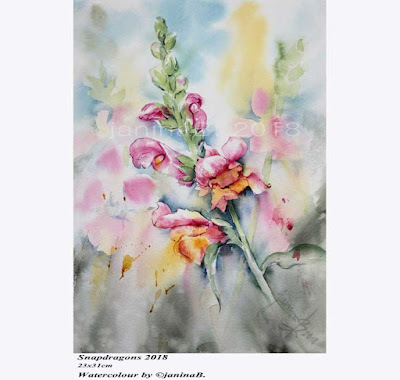 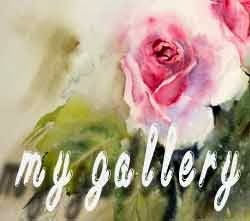 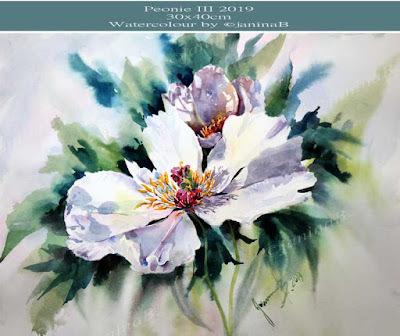 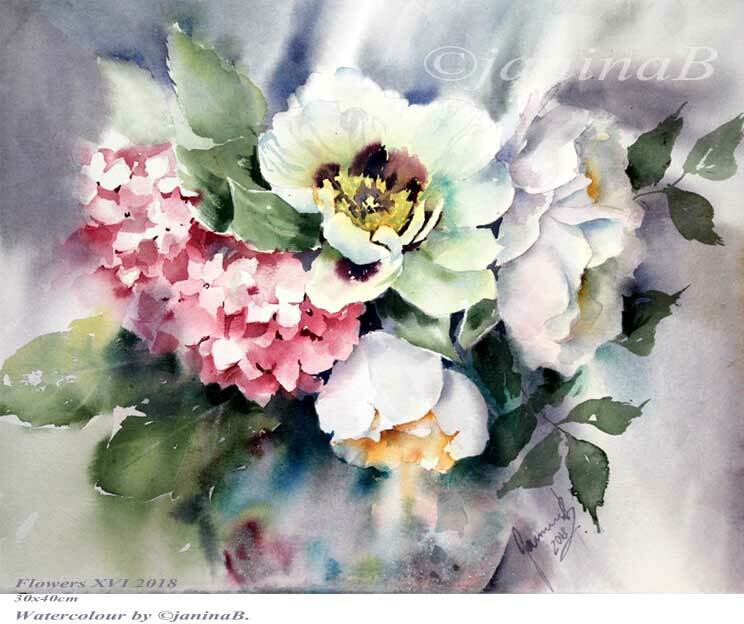 Snapdragons 2018 / 23x31cm Watercolour by ©janinaB. 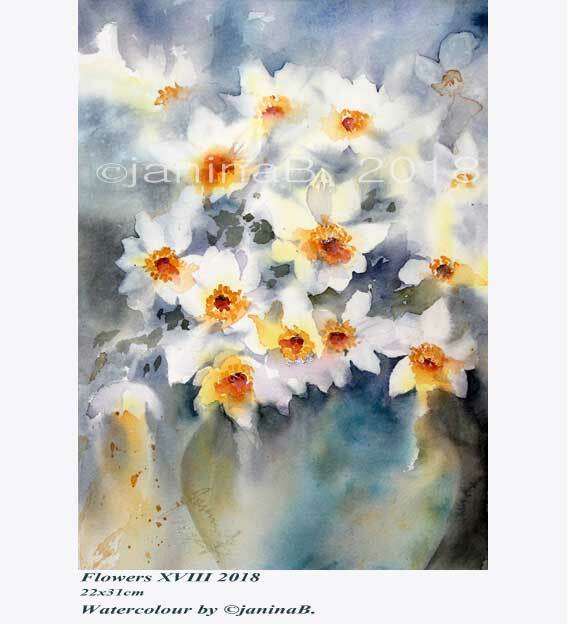 Flowers XVIII 2018 / 22x31cm Watercolour by ©janinaB. 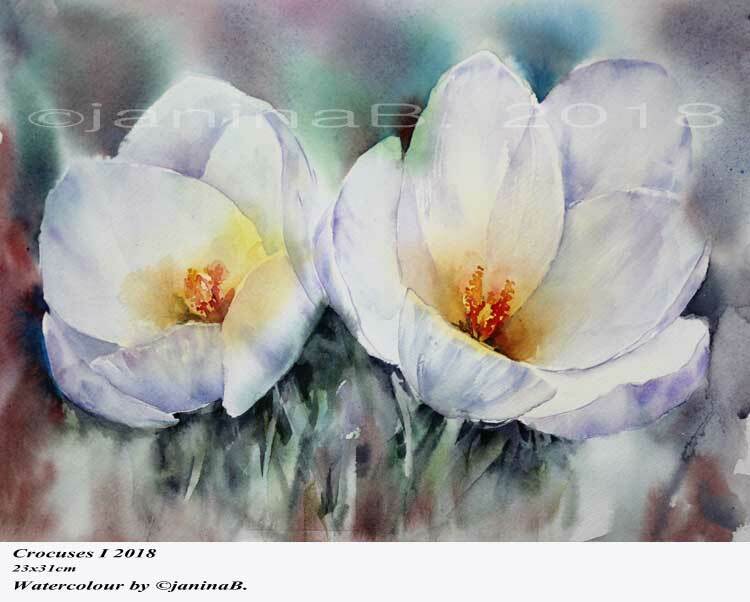 Crocuses I 2018 / 23x31cm Watercolour by ©janinaB. 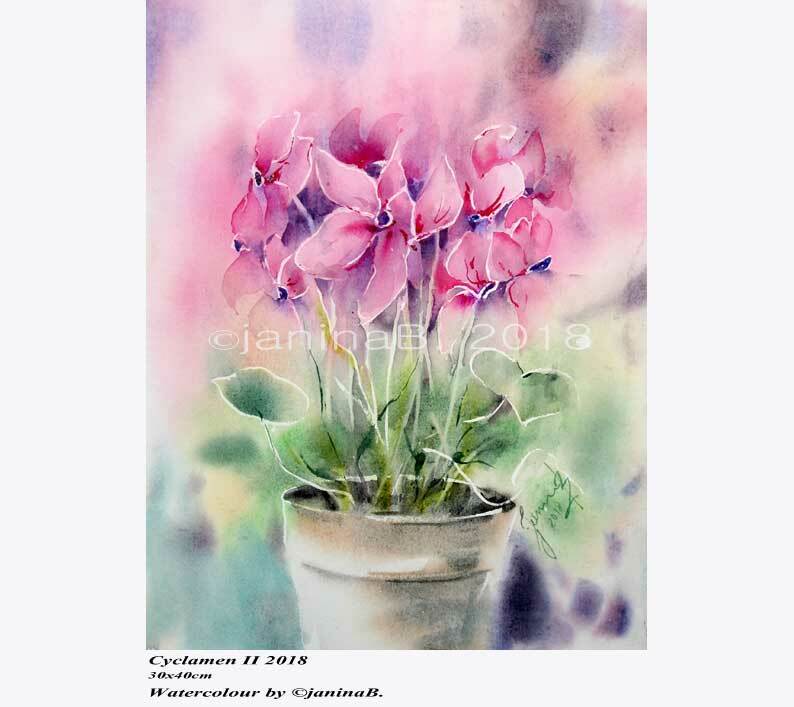 Cyclamen II 2018 / 30x40cm Watercolour by ©janinaB. 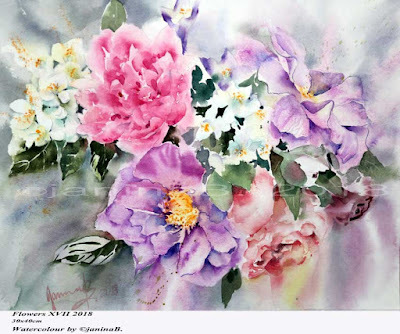 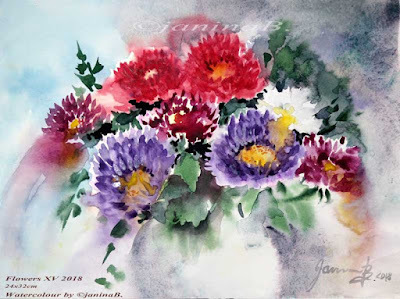 Flowers XVII 2018 / 30x40cm Watercolour by ©janinaB. Flowers XVI 2018 / 30x40cm Watercolour by ©janinaB. 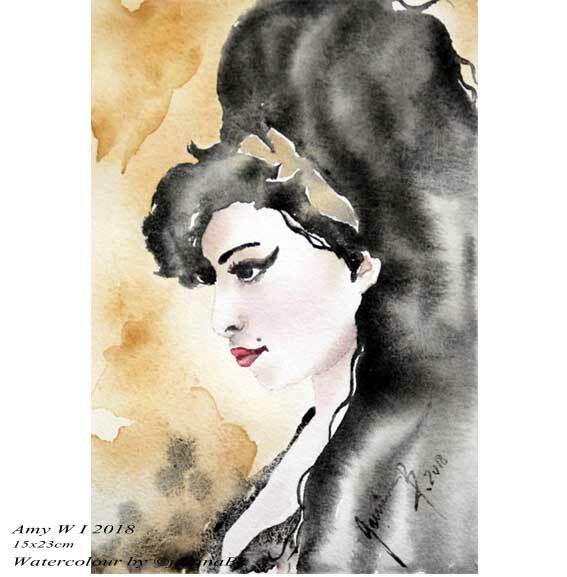 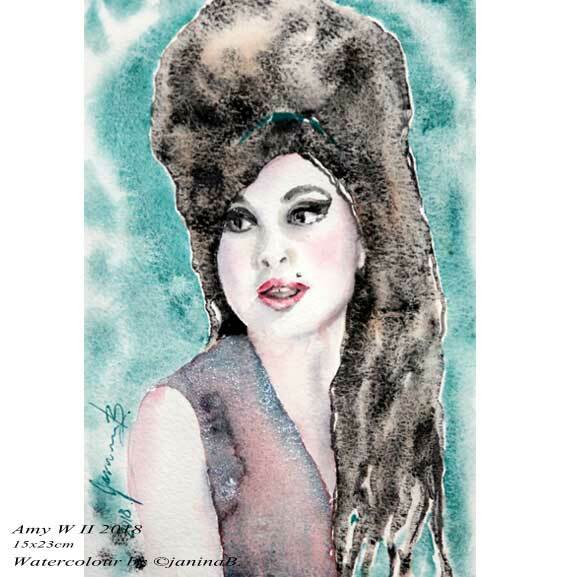 Amy W II 2018 / 15x23cm Watercolour by ©janinaB. 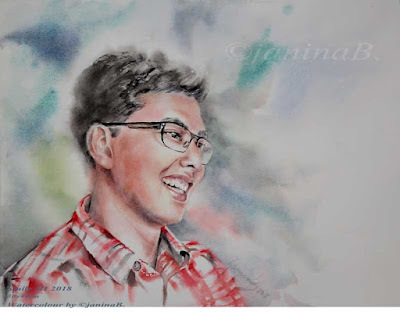 Amy W I 2018 / 15x23cm Watercolour by ©janinaB. 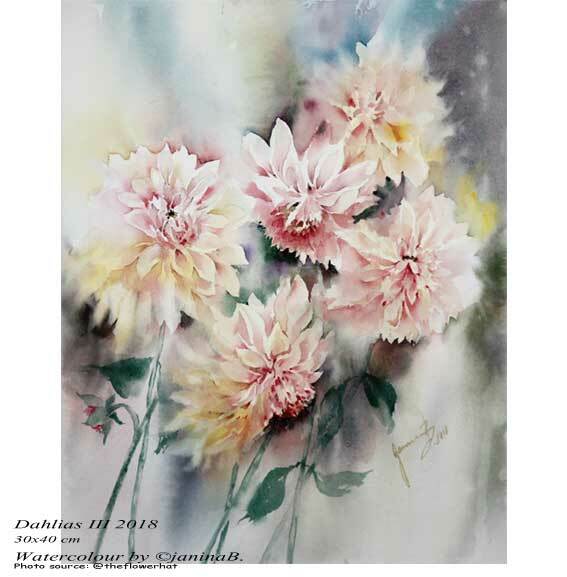 Dahlias III 2018 / 30x40 cm Watercolour by ©janinaB. 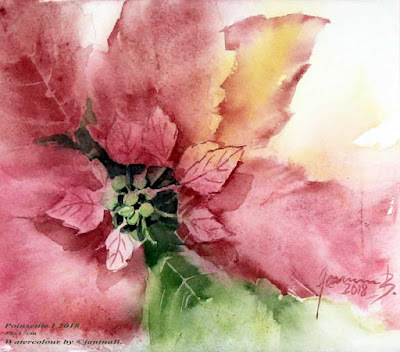 Poinsettie I 2018 / 15x17cm Watercolour by ©janinaB. Flowers XV 2018 / 24x32cm Watercolour by ©janinaB.